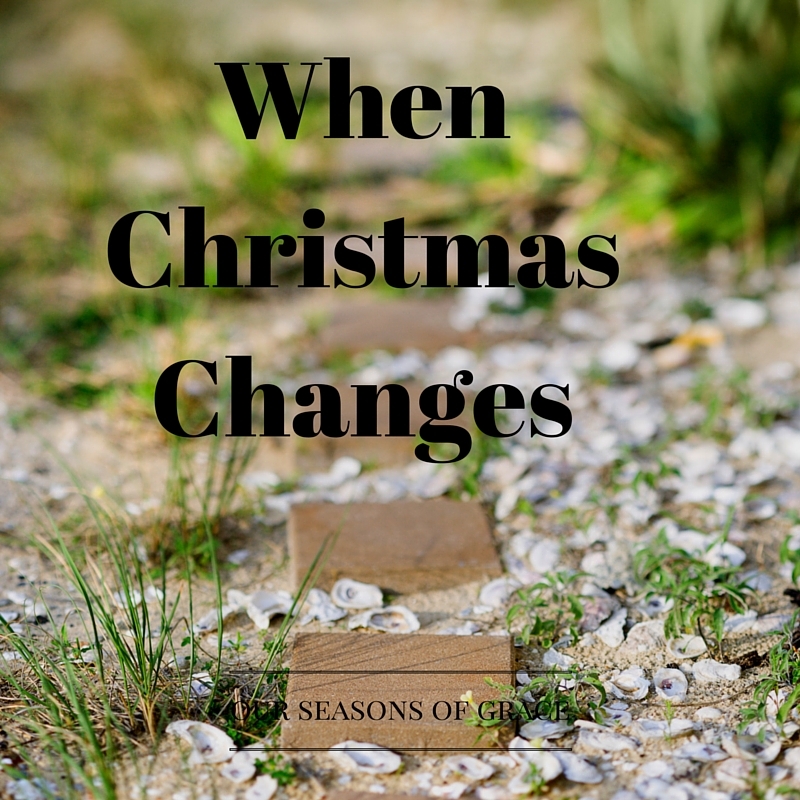 Our Seasons Of Grace: Do you have hope when Christmas changes? For everything there is a season, and a time for every matter under heaven. 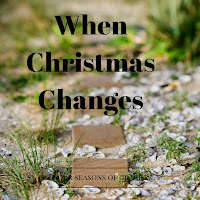 Do you have hope when Christmas changes? The Christmas season is here. I have a few friends who have been counting down since July. Now we are faced with the reality that Christmas is 2 and a half weeks away. Often there are multitudes of emotions attached to that reality. For some, there is a tinge of dread at the first sight of decorations appearing in the shops. For others, there is excitement and some people have been planning and buying presents throughout the year. The Christmas season is a busy time, sometimes even stressful. Even though it is a time to celebrate the birth of Jesus, and theoretically should be full of joy, there can still be an immense amount of pain associated with it for some people. Christmas day is rarely a traditional happy-family day for everyone. I know my Christmas’ growing up never replicated a Disney Christmas. In fact, Christmas was very similar year-to-year until the year my mum died. The year mum died was also the year I had moved out of home. Christmas had changed. Not only was my family having to face one less person around, I was also beginning to face the dilemma of whether to travel back home and spend Christmas with my family, or stay where I was and spend it with my then-boyfriend’s family. The decision was not a hard one because Christmas with my family was very important to me, especially since my younger sisters were still quite young when our mother had died. I, unintentionally, tried to take on the mother role over Christmas and ensure there were still plenty of presents under the tree for my younger siblings. I wanted to try to keep Christmas as ‘normal’ as possible. The true Christmas spirit was not really a priority for me—instead it became about my family, trying to please them, and in doing so believing that I could fix their pain. Since moving back to my home-town, Christmastime has changed yet again. I have two immediate families I get to spend the day with. However, that is not because I have married and now have my husband’s family to consider. Instead, I have adopted another family. Even though Christmas still does bring some mixed emotions, I know I am actually in a pretty blessed position as a young, single woman. I have twice the family to be around in an otherwise hard and painful time. Many singles, by the time they are my age, are living by themselves or with friends, and probably far from any immediate family. · I do not have the fear of facing holidays alone. · I do not have to face setting a table for one, and the conundrums of planning a meal for one. · I do not have to question if it is worth putting up a Christmas tree or whether I should buy a present for myself. 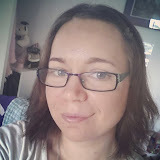 · I also do not have to worry about being quizzed by relatives on why I am still single. · Most of all, I have family surrounding me. These blessings are only minute compared to the real truth behind Christmas. The real truth that easily gets buried among the focus on family, let alone the present buying, meal planning, travelling, end-of-year parties and school presentations. This truth remains good news no matter what has happened throughout the year. It is a truth I am challenging myself to remember and hold onto as I approach another different Christmas. How are you facing a different Christmas? Do you want to know more about this ‘good news’? Drop me a line and we can chat. My post for today actually had a very similar tone to it. When life is not as we find it should be, there is an ache that lingers, but I think the world has always ached for the coming of Jesus. And I think while we are still on this side of heaven it will continue to ache. But like you said we find the moments and blessings around us that help ease that ache and we look forward to celebrating the birth of Jesus! Thank you for sharing! I enjoyed your post today! My mother did not die on Christmas but on Mothers Day! I understand a lot of what you are saying! I am grateful that God brings us back to true meaning of Christmas! God Bless:) Merry CHRISTmas! What is your plan for when Christmas is hard? 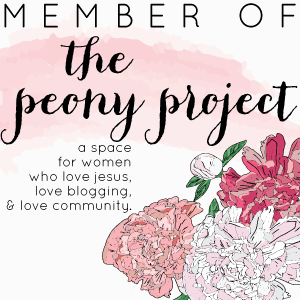 Be Part of Promoting Modesty in the Clothing Industry!